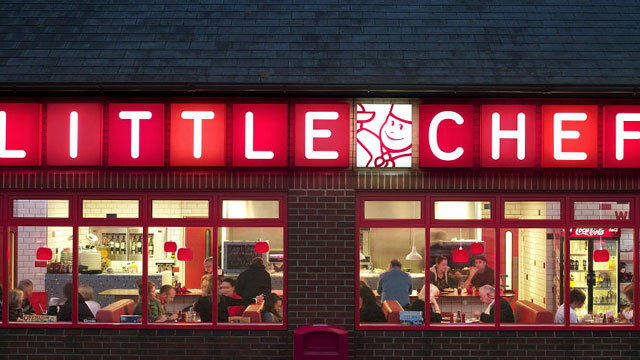 Little Chef’s heritage dates back to 1958, when the first restaurant opened in Reading with just 11 seats. In its heyday, the brand was an iconic part of the national landscape, providing a place of respite to ten million motorists on almost every A-road from Scotland to Cornwall. With roadside dining habits changing from sit-down meals to grab-and-go; the business started spiralling downwards affecting brand, quality, employee morale, financial and operational performance and levels of investment. The business changed owners five times in seven years and in December 2006, the once mighty British restaurant business, Little Chef, was in terminal condition. Little Chef’s owners appointed advisers to urgently offload the troublesome chain. Rcapital were identified as the only firm that genuinely wanted to turn the business around and were able to commit the complex deal negotiations between Christmas and New Year. Rcapital bought Little Chef’s 197 leasehold properties, many of which were in potentially high value locations, 38 of the worst performing outlets were subsequently exited from the group. The newly appointed management team injected turnaround leadership into the business to take back control of the huge operational and financial inefficiencies. Employee engagement was disparate and negative born out of being part of a business in demise. The team relentlessly worked and retrained all staff to rebuild a culture focused on the customer, team and improvement. The transformation accelerated when Rcapital invited Michelin-starred chef Heston Blumenthal to revamp the first ‘new concept’ restaurant in Popham, Hampshire. This was televised for the hit Channel 4 series Big Chef Takes on Little Chef, in 2009. The collaboration was an outright success; turnover and profitability at the chain soared in the ensuing media blitz. The chain won a Good Egg award for its use of free-range eggs and was certified with the Carbon Trust Standard for its efforts on climate change. The group’s efforts resulted in being included in the prestigious Good Food Guide in 2010, a groundbreaking accolade for a roadside restaurant. In 2010 an investor was sourced to help finance the national refurbishment of Little Chef’s restaurants however with the UK firmly in economic downturn and the hype surrounding Heston Blumenthal’s involvement fallen away, the company was once again in decline. Absolutely committed to the business, Rcapital kicked in a second and more aggressive turnaround plan to rescue the business and return it to sustainable growth. The only option available was to enter Little Chef into a Pre-Pack Administration resulting in further redundancies as underperforming outlets were returned to their landlord, Travelodge, which itself was going through a Company Voluntary Arrangement. A refined and more operationally streamlined Little Chef emerged from the second restructure with 80 national restaurants. In recognition of this extensive and intense turnaround, Little Chef were chosen to appear in a book about the Queen’s favourite British brands, in honour of Her Majesty’s Diamond Jubilee. This transformed, stronger and profitable group were bought by conglomerate, franchise food giant, Kout Food Group UK in 2013. 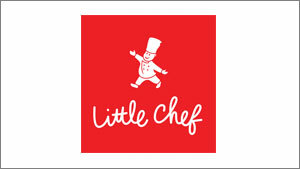 Little Chef was forced to adapt with the times, the business totally re-evaluated its brand values and subtly refreshed its logo and revamped the menus in line with modern eating habits. The restaurants now offer the latest payment technology to speed-up service and the restaurant embraced social media to attract a new generation of customer. Crucially, this heritage British brand has been safeguarded and improved to be admired and loved by UK travellers long into the future.